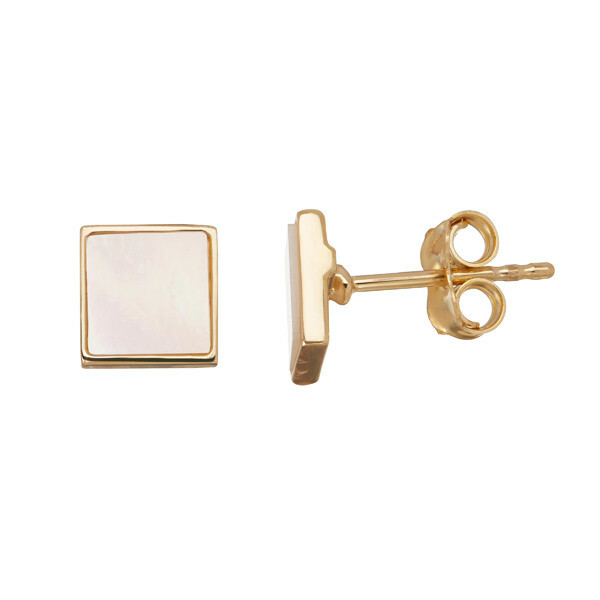 You'll be squarely in style when you wear these Honora square-shaped studs from the Geodescent collection! Crafted in 14K yellow gold, they feature a shapely freshwater cultured Mother-of-Pearl slice framed in precious metal and a post back. These Honora stud earrings are a piece of jewelry that you'll wear again and again.